Šri Mahã Vallabha Ganapati Devasthãnam cordially invites you with your family and friends to participate in Mahã Sivarãtri Celebrations and offer prayers to Lord Šri Šiva for the welfare and prosperity of your family. Mahã Šivarãtri Mahotsavam will be celebrated from March 1 (Friday) to March 5, 2019 (Tuesday). Special poojas, homams, abhishekams and rituals will be performed to Lord Šiva all these days. The most auspicious All-Night Vigil during Mahã Šivarãtri begins at 4:00 pm on March 4th (Monday). The Temple will be open all night for devotees to join this highly spiritual celebrations to chant Šiva mantras, witness special abhishekams, alankarams and poojas and to offers prayers to Lord Šiva for peace, happiness and prosperity for one and all. March 2nd (Saturday) at 4:00 PM – Devotees are encouraged to bring their children to participate in the special Šri Šiva Pooja by Children, where they can perform pooja for their own Šiva Lingas which may be taken home. Click here to read Mahã Šivarãtri – Significance of the Rituals. The All-Night Vigil will be streaming LIVE beginning at 4:00 PM on March 4 (Monday) until 6:00 AM on March 5 (Tuesday). 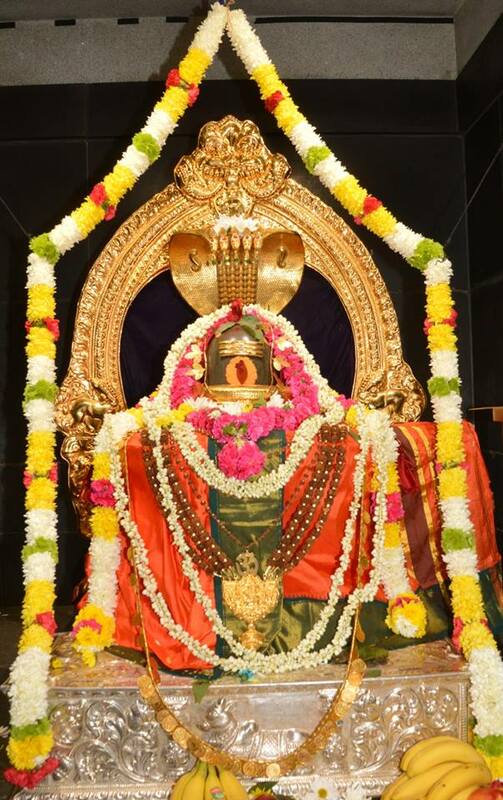 8:00 am – Šri Mahã Ganapati Homam, Navagraha Homam, Poornãhuti, Hãrati. 9:30 am – Šri Šiva Abhishekam, Šri Rudra Trišati Nãma Archana, Hãrati. 7:15 pm – Poornãhuti, Hãrati. 9:15 am – Poornãhuti, Hãrati. 4:00 pm – Šri Šiva Pooja by Children. 6:15 pm – 108 Spatika Linga Ashtottara Nãma Pooja. 9:30 am – Šri Šiva Abhishekam, Šri Rudra Trišati Nãma Archana. 6:45 pm – Poornãhuti, Hãrati. 8:00 am – Šri Šiva Moola Mantra Japam & Homam (6th Kãlam), Mahã Poornãhuti, Hãrati. 5:00 pm – Ekãdašavãra Rudrãbhishekam starts, Special Alankãram, Pooja, Hãrati. 7:15 pm – Šri Pãrvati Abhishekam, Pooja, Hãrati. **Bilva Samarpana Šloka Japam, Šri Šiva Abhishekam, Special Alankãram, Šri Rudra Trišati Nãma Archana, Hãrati. Special Alankãram, Bilva Ashtottara Šata Nãma Archana, Hãrati. Šri Šiva Abhishekam, Special Alankãram, Pooja, Šri Nandi Abhishekam, Hãrati. 5:00 pm – Šri Šiva Abhishekam, Sahasranãma Pooja, Hãrati. 7:15 pm – Šri Šiva-Šri Pãrvati Kalyãna Utsavam, Hãrati, Prasãdam. **Bilva Samarpana Šloka Japam will be chanted during Abhishekem in Phase II. Only those who attend the practice sessions will be eligible to be included in the Japa count. *Šri Panchãkshara Mantra Japam will be chanted during Abhishekam in Phase III. ALL ARE INVITED TO PARTICIPATE. Sunday, Mar. 3, 2019 – Scheduled Šri Durga Abhishekam will be at 9:30 AM instead of 4:30 PM. Monday, Mar. 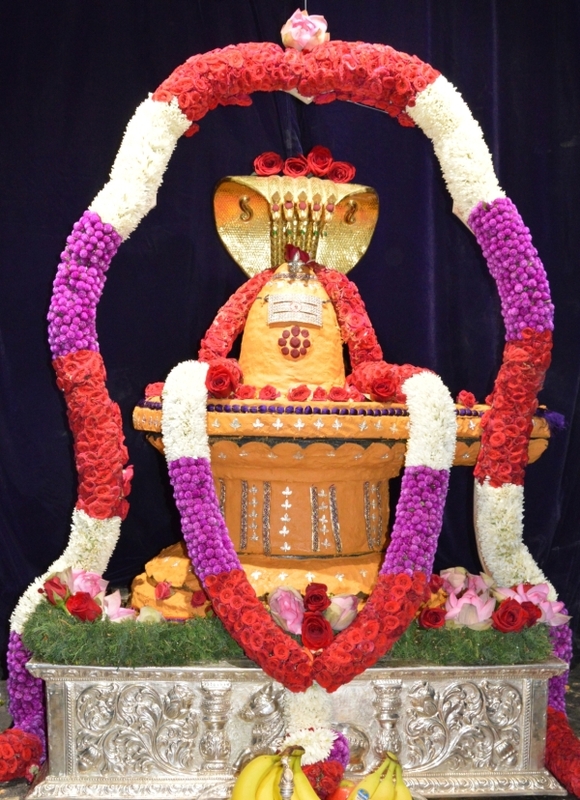 4, 2019 – Scheduled Šri Šiva Abhishekam at 7:15 PM is cancelled. Temple Hours : Weekdays 8:00 a.m. - 9:00 p.m. Weekends 7:30 a.m. - 9:00 p.m.